So here goes the rewrite.. I have a dear friend who loves his bread machine, swears by it. 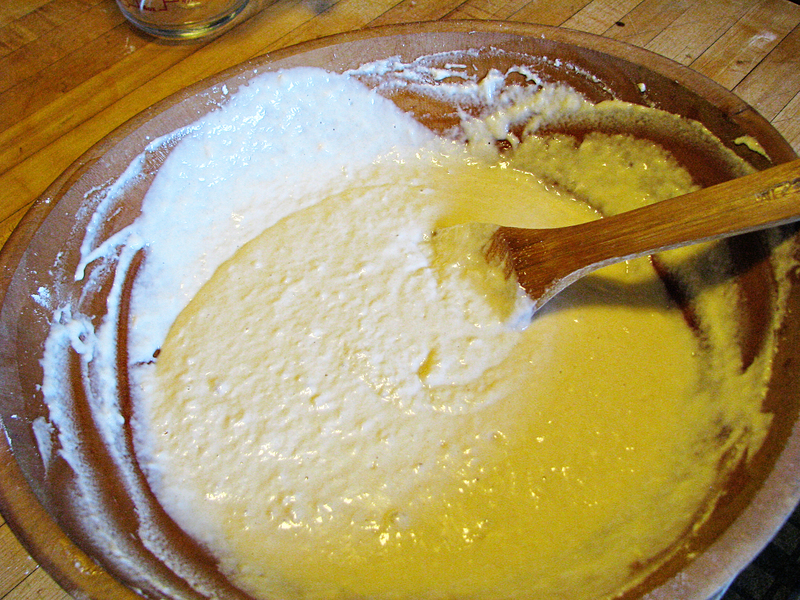 Even I have fallen prey to the ease of the silly thing: dump in ingredients, push the button, three hours later, voila! 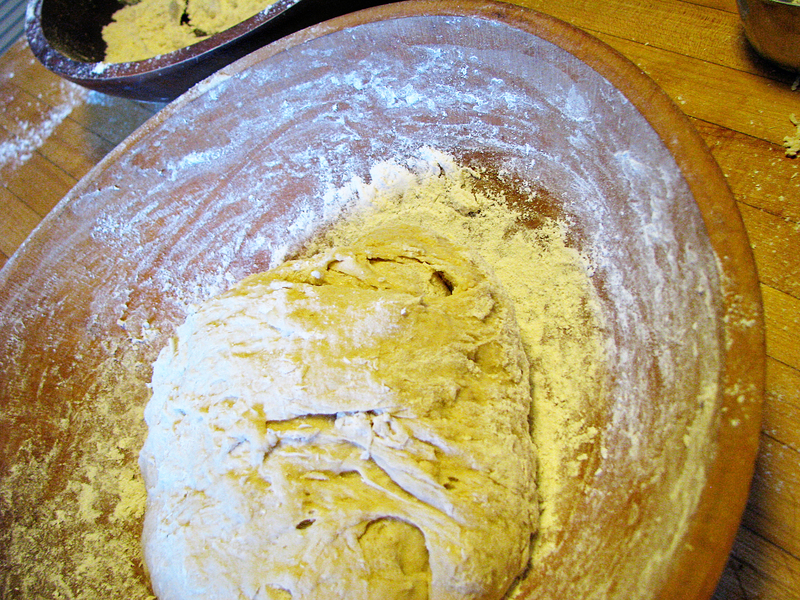 Fresh, hot bread. OK, it’s not as good as “real” homemade, but it’s better than most store bought. Another dear friend, however, swears the machine is really not that great and simply makes his dough by hand, keeping it in the refrigerator for when he wants a fresh loaf. 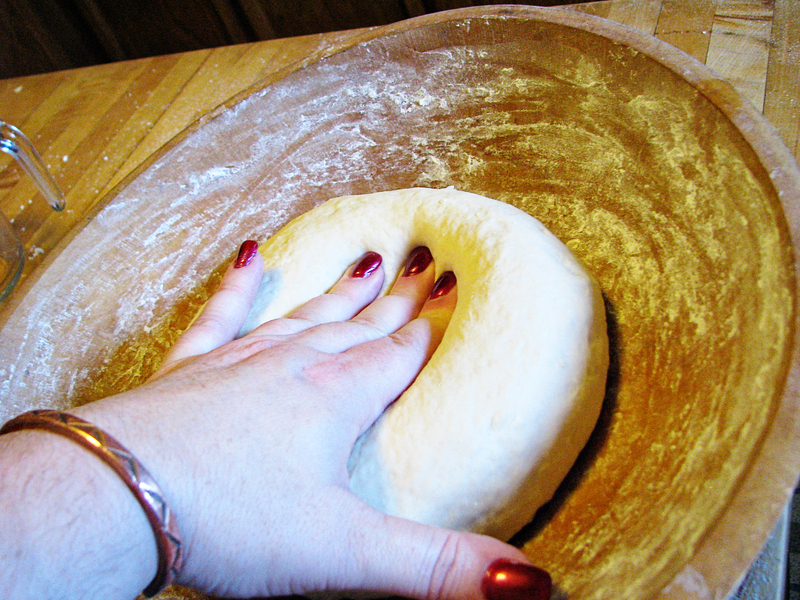 I’m no stranger to the joys of bread making, and I tend to agree with Friend 2 that it is a therapeutic process. 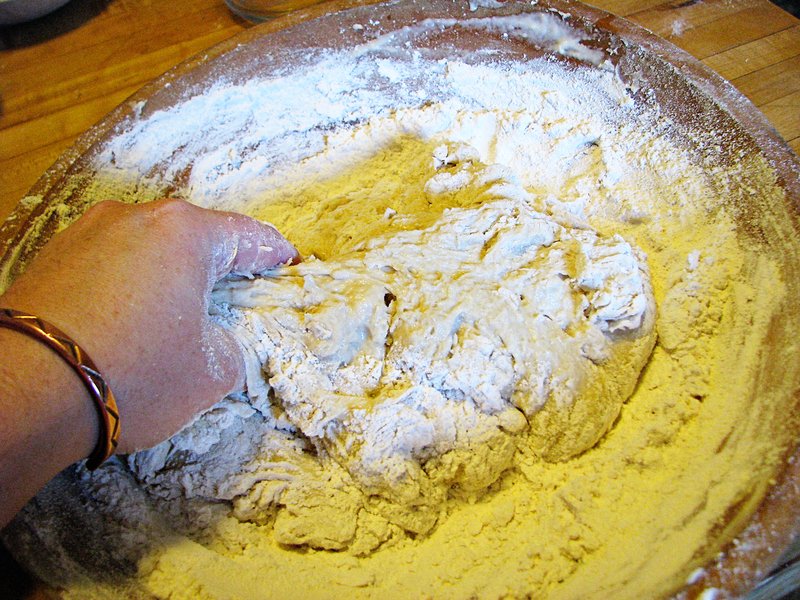 At 9:00 I gathered all the ingredients… by 9:30, the dough was in the refrigerator and the dishes were all washed… and note – no mixer was used, this was all by hand, baby! 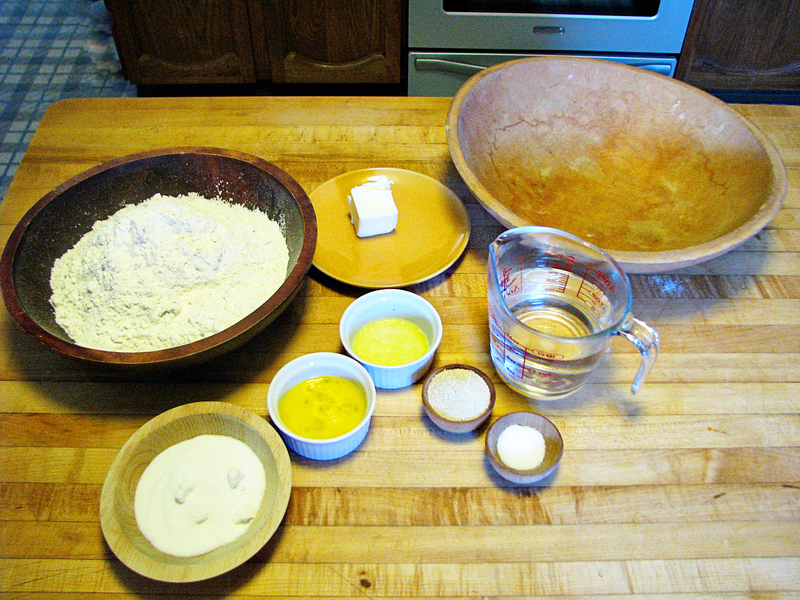 Mis en place - it helps, really! 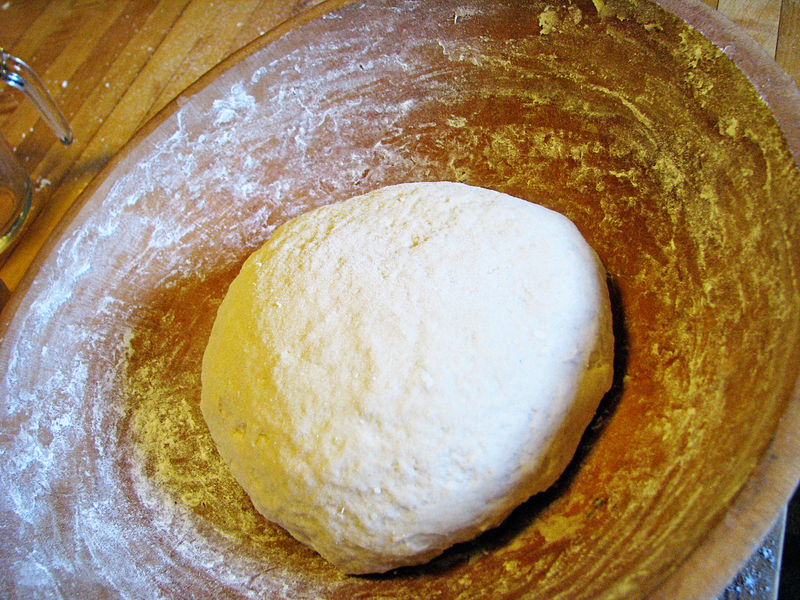 The start of the dough - look ma! 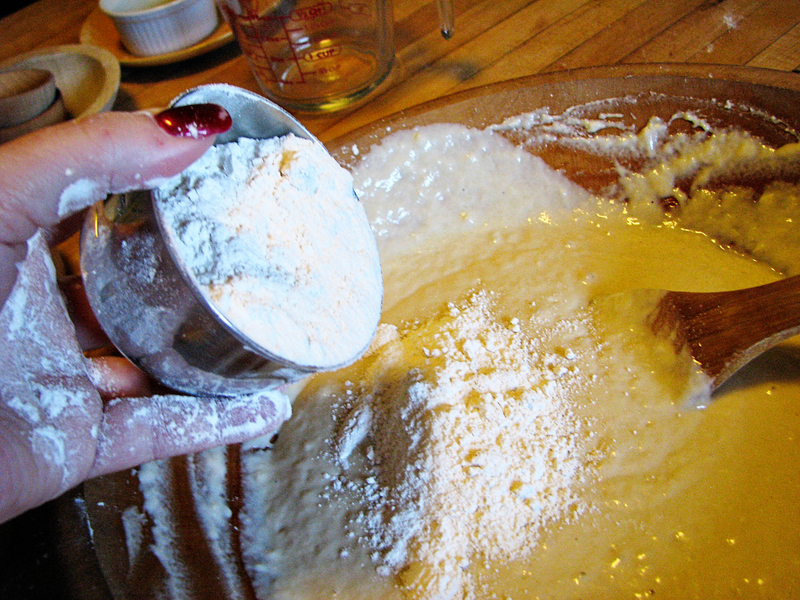 No mixer! 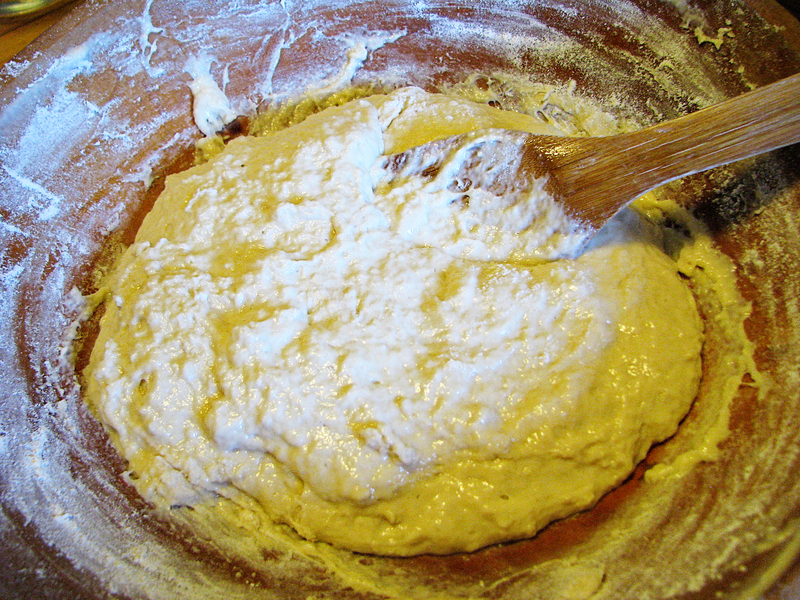 How can you tell if the dough is ready? Pooosh! Look ma! No dough sticking! How about something less subjective? 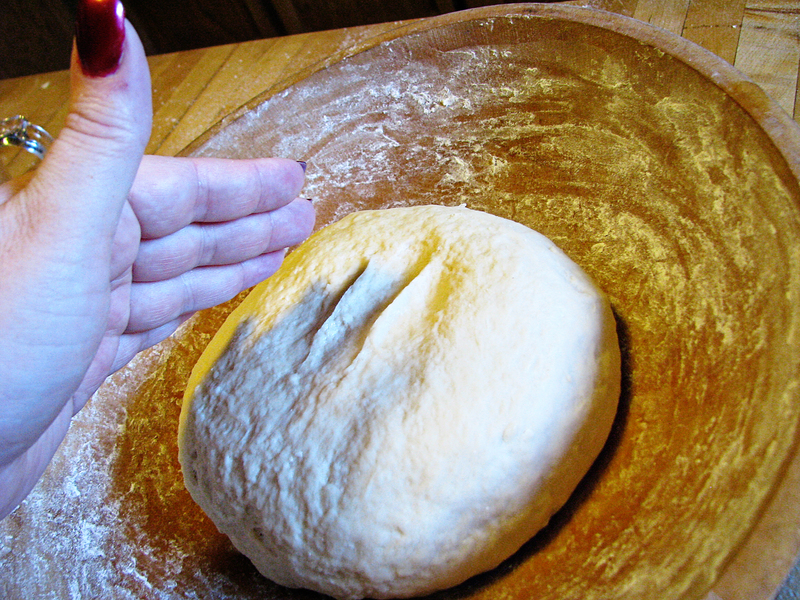 Push your fingers against the dough ball… then pull them away… they should leave a clear indent, and no dough should stick, or cling to your fingers. Simple? You betcha! 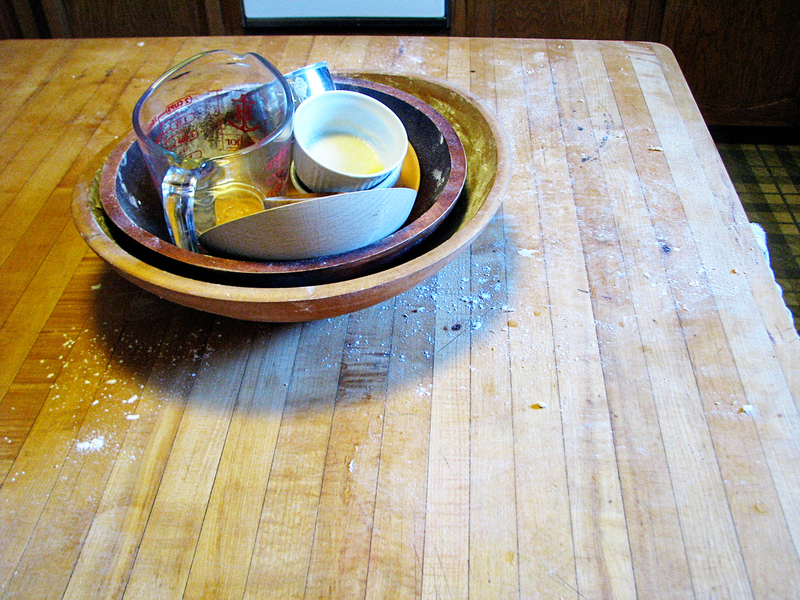 Now we know why I knead in a bowl - easy clean up!